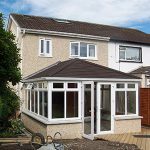 Founded in 2010 and based in Port Talbot, near Swansea, South Wales, A-Rated Home Improvements install double glazing, uPVC and Aluminium windows, doors and conservatories to a professional and very high standard. With almost 10 years’ experience operating in the area, the minds behind A-Rated Home Improvements are well equipped to renovate your home with any desired project – helping you achieve the home you’ve always dreamed of having. With a commitment to providing high-performance products at an exceptional standard, A-Rated Home Improvements are one of the best home improvement companies you’ll find in South Wales. We also supply A-rated products to ensure that your home improvement offers the very best security, energy efficiency and thermal performance currently achievable. 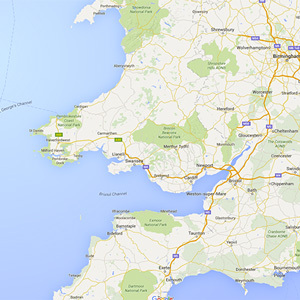 At A-Rated we offer our services to the entire South Wales Region, from Pembrokeshire, Ceredigion, Carmarthenshire, and Neath Port Talbot; all the way to Powys, Glamorganshire, and Monmouthshire. Therefore, if you’re a resident of South Wales, please don’t hesitate in contacting us about your Home Improvement plans – you won’t be disappointed! 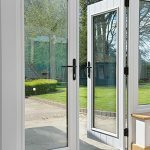 Whether it’s replacing a pane of glass or fitting your home with double glazed windows, doors and a conservatory, we’re sure to have something in our wide product range perfectly suited to enhance your home. Ranging from traditional-style Victorian conservatories built using high-performance uPVC, to more contemporary tilt & turn aluminium windows, we cater for all styles of home, from heritage to modern. Why choose A Rated Home Improvements? Strong, durable and stylish, our windows and doors provide homeowners with the very best in security, performance and design. The best part? We never compromise quality, and provide a service which is highly competitive and affordable. Our reputation throughout Swansea and the surrounding areas stands true – give us a try, you won’t be disappointed! A Rated Home Improvements is a FENSA accredited company meaning that we meet all the fitting standards for replacement windows and doors. All products are approved by the official police security initiative ‘Secured By Design’, giving homeowners complete peace of mind and safety.